Nonprofit organizations, including food banks, deal with a lack of timely deliveries and other logistical complications, lean and the Toyota Production System (TPS) are ideal strategies to remove these obstacles. 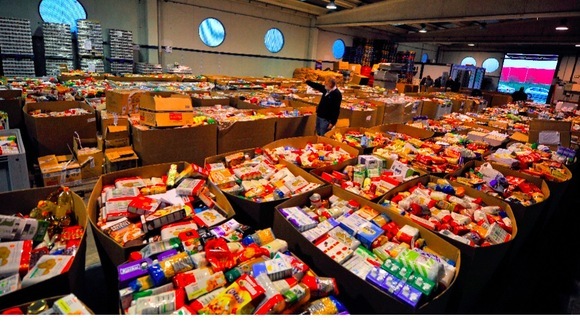 The Greater Boston Food Bank in Boston faced issues with how long refrigerated foods sat on the loading dock waiting to be picked up. 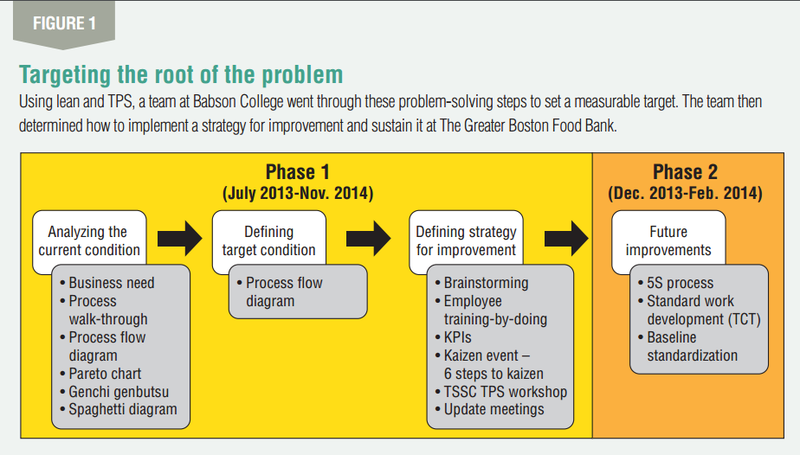 Babson College researcher and Toyota Production System Support Centre (TPSSC) improving operations and warehouse management from the food bank. Researcher identified food items that had been placed in the dock area several hours prior to scheduled delivery. The result was that refrigerated items were out of cold storage for quite a long time. To ameliorate this, the food bank used insulation blankets to keep foods cold. But this created potential issues with food safety and quality. Researcher began picking cooler/freezer portions in sequential order as opposed to bulk order picking. The result was that refrigerated and frozen items were only placed on the dock when the delivering agency arrived to pick up the goods. This reduced congestion on the shipping dock and increased overall productivity in the loading dock area. The lead-time to fulfill an order declined dramatically, from three hours to 20 minutes.